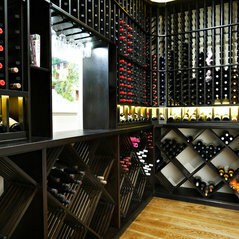 At Cellar Creations, we are passionate about hand crafting bespoke wine cellars. 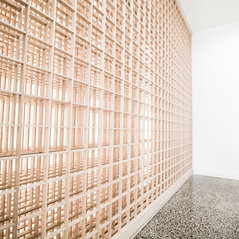 Our attention to detail and knowledge of building enables us to take on the complex and challenging. 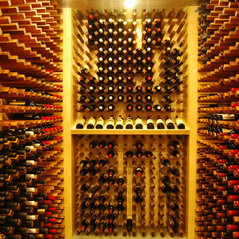 When only the best will do; the Cellar Creations team is your answer, Australia wide and internationally. With a background in design, custom building and bespoke craftsmanship, we are able to custom design, build and equip a cellar which will become a feature in its environment. A Cellar Creations cellar will increase the value and saleability of your property and help you to build a valuable collection of well-tended wines. You will have the added benefit of having your favourite wine readily available to share with family and friends or clientele. As registered members of the Building Practitioners Board in Building Design (Architectural), Residential Building and Commercial Building, we offer the complete package from concept through to completion. As registered builders all our work comes with the appropriate insurances and you will have no need to subcontract or liaise with other entities. We simply look after it all for you. 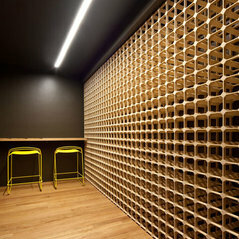 If you are taking on the building of your own wine cellar, Cellar Creations can supply the fitout. If you are a builder, owner builder, carpenter or mechanical contractor we can supply you with the appropriate wine cellar components. 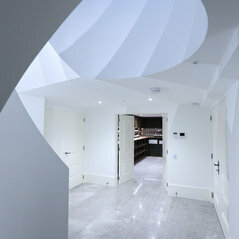 Whether you wish to use an existing room, utilise that unused space beneath your home or stairs, or build a cellar from scratch either above or below ground, Cellar Creations will be able to help you through this process. Our business exists as a result of the satisfaction of our clients, for the products we offer, and the quality of our building services. We guarantee that you will be delighted with the results. Professional Information:At Cellar Creations, we are registered designers, registered builders (both residential and commercial), our building division First Impressions Projects is registered with the MBA (Master Builders Association) and the HIA (Housing Industry Association). 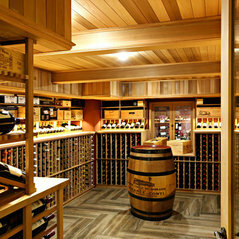 Our focus and speciality is in wine cellar design and construction. Excellent job. 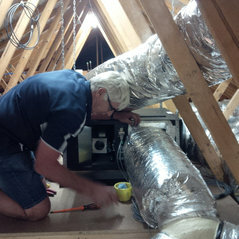 Robert Rolls provided fabulous advice and his attention to detail was second to none. 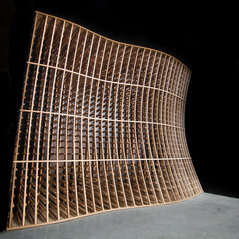 We absolutely love our Shoji Screen wine Cellar.